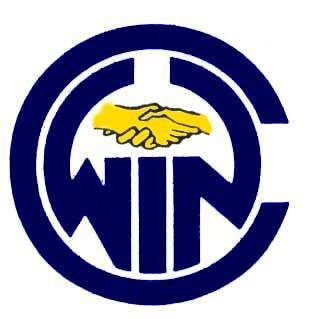 The Woodstock Institute for Negotiation regularly sponsors the WIN Caucus for all prior participants in any WIN extended training program. The WIN Caucus is now a two day training program to review the Collaborative WIN Process and to network with others who have had the WIN Training. The next WIN Caucus will take place on May 4-5, 2010 from 9:00 A.M. to 5:00 P.M. and 7:00 P.M. to 9:00 P.M. on May 4th and from 8:00 A.M. to 6:00 P.M. on May 5th at the Best Western Silver Fox Inn in Waterville Valley, New Hampshire. It is limited to 24 Participants and you are urged to register early to assure yourself a place in this training. The Silver Fox Inn is a wonderful place for this training with unbelievable delicious meals. Bob O'Donnell teaches his Plymouth State University MBA classes here and looks forward to using this venue again. It is an ideal place for the WIN Caucus with the opportunity to take two solid days of review and refreshment in the Collaborative WIN Process. The WIN Caucus will encompass three new role plays to use your planning and negotiation skills: one will be a "Dance" utilizing the WIN "Dance Card" and the WIN Chart for Calculating the WIN "Dance Steps", the second will be a negotiation not involving money utilizing the Collaborative WIN Planning Grid, and the third will be a group to group negotiation first working with your team to prepare for the table negotiations and then the table negotiations with both teams. This is a chance to review some of the more important aspects of the WIN Training and to brush up and get re-tuned in your negotiating and collaborating skills. This training came about from many requests for a refresher workshop on the basic principles of the Collaborative WIN Process. Past participants of extended WIN Training Programs desired an opportunity to be refreshed in the basic principles of the Collaborative WIN Process and to have an opportunity to share their experiences in using their training with others. The WIN Caucus is also an opportunity to be exposed to some of the updated and improved aspects of the training materials and to learn about new aids for various parts of the Collaborative WIN Process. It is a time to review and reflect upon the basic training materials and to be refreshed and re-energized. Prior to the WIN Caucus you will be sent three role plays to prepare by completing the appropriate planning grid. One will be a traditional "Dance", the second will be a collaborative negotiation not involving money, and the third will be a group to group negotiation. At the WIN Caucus you will have the opportunity to discuss your planning with a small group prior to entering into the negotiation. The usual de-briefing will follow each role play. There will be a review of the Collaborative WIN Process, WIN's Ideal Collaborative Model and the "Dance" along with work on discerning between Interests and Issues. There will also be opportunities to discuss in small groups and in plenary session case histories of difficult and challenging negotiations to learn and grow from the experiences of other participants. There will also be opportunities to build relationships and network with others who have experienced the WIN training at assignment free meals, longer breaks, and a wine and cheese reception on the 4th. This is a bit different than the Certificate Program and is a little more relaxed. To Retreat briefly from your busy life for a private meeting with others trained in the Collaborative WIN Process. To Re-Employ the techniques and processes of the Collaborative WIN Process. To Reflect on what you have done right in past negotiations and how you can improve in future negotiations. To Revise how you intend to be in the future. To Reaffirm what you have learned previously. To Re-Energize yourself with the goals of the Collaborative WIN Process. To Reunite with others trained in the Collaborative WIN Process both in our sessions and at a Wine and Cheese gathering at the home of your Instructor, Bob O'Donnell. To Return to your busy lives with a refreshed attitude. To Resume your daily continuing negotiations. 16 1/2 Hours of intensive review in Negotiating and Collaborating theory, skills and techniques. Opportunities to meet and network with others trained in the Collaborative WIN Process. Opportunities to re-test your skills in two One-on-One Role Plays, in a team preparation and in a group to group negotiation. Extensive de-briefings of each Role Play with comments and suggestions from your Instructor. The latest Edition of the WIN Workbook for Negotiating, Collaborating and Leading in Today's World which will be sent to you prior to the WIN Caucus to allow you to review it. The cost of this is normally $125.00 and comes with your Registration for the WIN Caucus. As you know the WIN Training Materials for the Certificate Program for Negotiating, Collaborating and Leading in Today's World are constantly being added to and revised. The current Revision 7 of the WIN Workbook for Negotiating, Collaborating and Leading in Today's World consists of 193 pages, but is in the process of being revised again for the 2010 WIN Caucus. Lunch and Dinner on Tuesday, May 4th, Continental Breakfast and Lunch on May 5th, along with morning and afternoon coffee/soda breaks. The meals will truly be unbelievable and amazing, prepared by Chef Susan Brunvand and her staff. You will remember them well and perhaps plan to return to the Silver Fox Inn in the future just for Susan's meals. Mounted Certificate of Attendance inscribed with your name ready to hang on the wall. Wine and Cheese Reception before Dinner on Tuesday, May 4th, to relax and further network with other participants. A opportunity to be refreshed and renewed in the Collaborative WIN Process. In order to attend the WIN Caucus one must have attended an extended version of the WIN Training, with "extended" meaning at least a three day program. The reason for this requirement is that this is a review program and the participants must have the basic WIN training in order to effectively take part in the role plays. Participants in the complete Certificate Program for Negotiating, Collaborating and Leading in Today's World or in a university course taught by Bob O'Donnell at Pepperdine University School of Law, Plymouth State University, University of Vermont, University of Idaho Law School, Hamlin University School of Law, Marlboro College Graduate School, or City University of Hong Kong School of Law would all be eligible. Please call the WIN office if you have a question on whether or not you meet the eligibility requirements. In order to assure contact between the participants and the instructor, this WIN Caucus is limited to 24 participants. For the past five years Bob has also been an Adjunct Faculty Member for the Graduate School at Plymouth State University where he teaches "Negotiating, Collaborating and Leading in Today's World" for the MBA Program of the Business School and for the Masters in Education and CAGS Programs in the Education Department. He will be teaching this course again for Plymouth State University in July, 2010 at the Silver Fox Inn. Bob has also taught intensive negotiation courses at the University of Idaho College of Law in Moscow, Idaho, Hamline University School of Law in St. Paul, Minnesota, and City University of Hong Kong School of Law in Hong Kong, China. He also taught a popular graduate level course “Negotiation and Collaboration: Theory and Process” as an Adjunct Assistant Professor in the Department of Education at the University of Vermont for 13 years. The WIN Caucus scheduled for May 4-5, 2010 will take place at the quant Best Western Silver Fox Inn located at in the White Mountains at 70 Packard's Road in Waterville Valley, New Hampshire. The Silver Fox Inn has comfortable rooms, high speed internet, a comfortable living room, and an excellent and friendly staff. The Best Western Silver Fox Inn is offering special discounted rates for its rooms for those attending this program: $89.10 per night, including tax, for attendees of the WIN Caucus as opposed to their normal rate of $118.81, including tax, during this time. These rates, however, are limited in time and you will need to make your reservations as soon as you can to take advantage of the special rate. Please note that lodging is NOT included in the cost of the training and you are responsible for your own lodging arrangements and payment. You will need to make your room reservations directly with the Silver Fox Inn. You can make your reservations at this rate by calling them toll free at: 888 236-3699. This special rate is not available by booking on line. You can also visit the Silver Fox Inn Website for more information and directions. Waterville Valley is a four-season destination vacation spot located in the middle of the 770,000 acre White Mountain National Forest. You can get more information by clicking Waterville Valley. The cost of the WIN Caucus is $795.00. This includes a current copy of the WIN Workbook which costs $125.00. Please Note: If WIN receives your Registration Fee after April 26, 2010, there is a Late Registration Fee of $50.00. (1) Those who register and pay their fees on or before April 2, 2010 receive a discount of $50.00. (2) Multiple-employees of the same employer each receive a discount of $50.00 when they register for the same program. (3) Full time government and non-profit employees receive a discount of $150.00. All discounts are separate and may be combined if conditions are met. The Woodstock Institute for Negotiation has been accredited by the Vermont Mandatory Continuing Legal Education Board as an "Accredited Sponsor" for Vermont continuing legal education activities. This training program qualifies for 16.5 hours of CLE Credits for Vermont attorneys. WIN provides assistance to all participants in obtaining approval for their professional continuing education credits. Please call us for further information. (1) A set of five WIN Reminder Cards with case is available for $25.00. These double sided plastic cards are the size of a credit card and contain the main principles of the Certificate Program for Negotiating, Collaborating and Leading in Today's World. They serve as a pocket resource of your training. (2) Two Conflict Behavior Surveys to take prior to the WIN Caucus and receive the results at the WIN Caucus with the opportunity to privately discuss the results with your Instructor. The cost is $50.00. These are the same surveys given to participants of the Certificate Program for Negotiating, Collaborating and Leading in Today's World and represent an opportunity to see how you are now negotiating. These items can be ordered when you register for the WIN Caucus. You can register for the WIN Caucus by Phone by simply calling the WIN Office on our toll-free line: 800 457-3211. If you want to register by fax or by mail, click here for your Registration Form which you can print, complete and either fax or mail. If you are unable to print the Registration Form, please call WIN toll-free at 800 457-3211 and request us to fax or mail you one.